​Authority, your local clinic, and the Ministry of Health. Please pick an age range that best identifies your age or that of the person you are registering. Thanks you. HEMORRHAGIC STROKE: Brain Bleed (hemprrhaging). 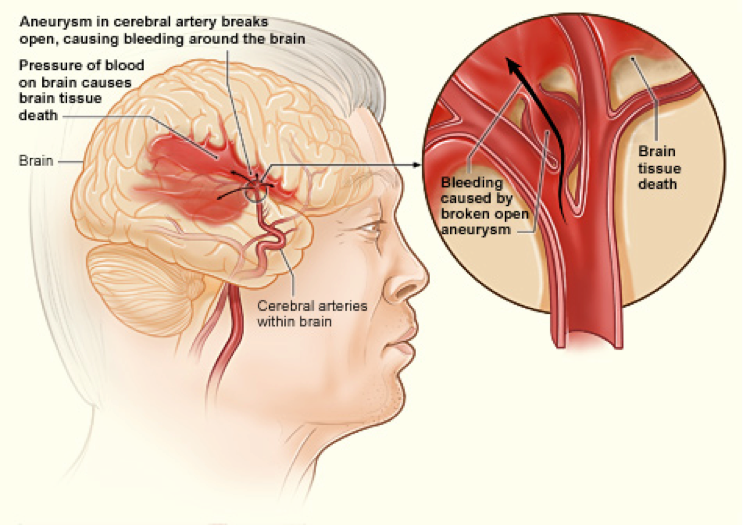 A hemorrhagic stroke happens when a blood vessel in the brain bursts SUBARACHNOID HEMORRHAGE: In a subarachnoid hemorrhage, an aneurysm bursts in a blood vessel in the brain. INTRACEREBRAL HEMORRHAGE: In this scenario, bleeding occurs from vessels within the brain itself. . ISCHEMIC STROKE: Blod Clot (Blod Clot in Brain). 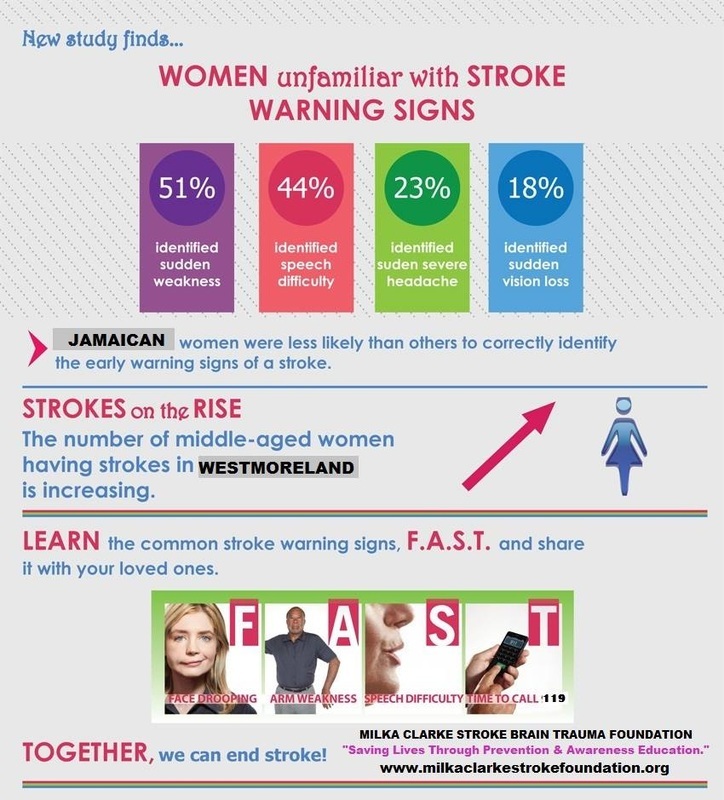 This is the most common type of stroke. 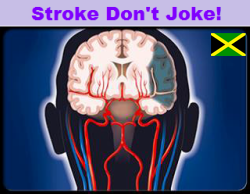 An ischemic stroke happens when an artery in the brain is blocked. 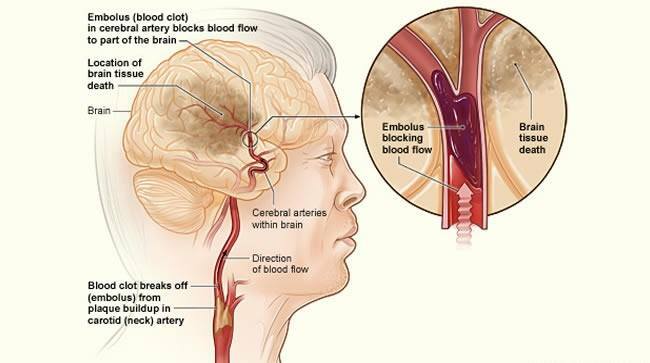 EMBOLIC STROKE: In an embolic stroke, a blood clot or plaque fragment forms, usually in the heart or the large arteries leading to the brain, and then moves through the bloodstream to the brain. THROMBOTIC STROKE: A thrombotic stroke is a blood clot that forms inside an artery that supplies blood to the brain. LARGE VESSEL THROMBOSIS: This is the most common type of thrombotic stroke. It is caused by a combination of long-term atherosclerosis (hardening of the arteries) followed by rapid blood clot formation. SMALL VESSEL DISEASE/LACUNAR INFARCTION: Small vessel disease, or lacunar infarction, occurs when blood flow is blocked to a very small arterial vessel. TIA - TRANSIENT ISCHEMIC ATTACK: Is an event, sometimes called a mini-stroke, with stroke symptoms that last less than 24 hours before disappearing.